Organized in 1875, Mt. Morris Mutuals’ rich history of insuring Wisconsin farm families began nearly a century and a half ago in central Wisconsin when 11 Farmers all donated a dollar to start this great organization. A lot has changed since then, but the one constant has been Mt. Morris Mutuals’ devotion to the hard work and sacrifices of Wisconsin’s farm families. 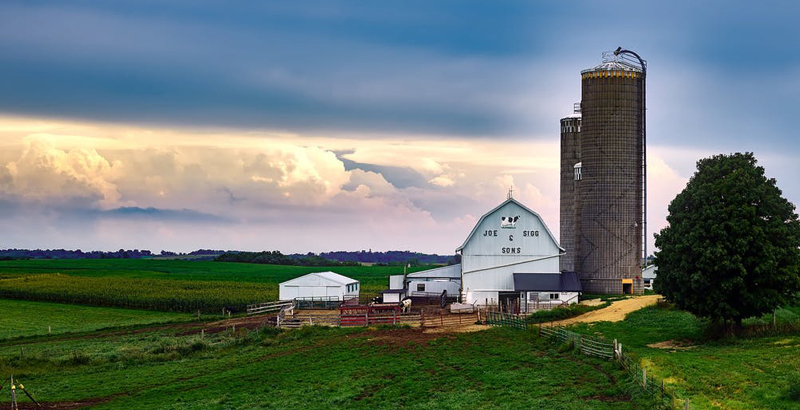 Our farm insurance products are designed with the flexibility to protect everything from the smaller farm/farmette, to the larger family or corporate farming operation covering thousands of acres. Located in the heart of rural Wisconsin, we live and breathe the farming lifestyle. We respect and understand the unique challenges of today’s farmers and have the products and devoted personnel to meet those needs. Ask your local Mt. Morris Mutual agent representative to demonstrate how Mt. Morris Mutuals’ products and services can effectively meet your unique farm insurance needs. Visit our agent locator tab to find a local representative. Replacement for your dwelling, contents, farm buildings and personal property.